LeWebSpotify CEO and cofounder Daniel Ek. One of the big problems employers have these days is getting their top young talent to stay with them. Increasingly, millennials are looking to hop from company to company, rather than stay with the same firm for decades as members of older generations did. 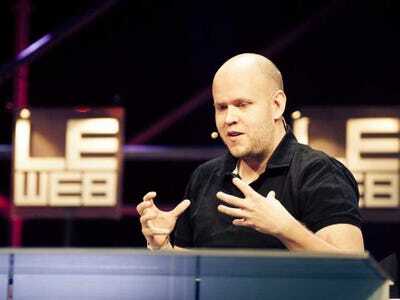 But 31-year-old Spotify cofounder and CEO Daniel Ek has an interesting strategy for giving himself the flexibility his fellow 30-somethings enjoy, without being so flighty that he can’t sink his teeth into his work. In a recent story in The New Yorker, Ek describes himself as a “missionary” because he likes to commit to taking on a work mission for five years at a time. The mission plan gives Ek, who is Swedish, more job continuity than most Americans his age. Recent figures from the US Bureau of Labour Statistics reveal that the median US employee spends just three years with one company, compared with 4.6 years for all American workers.